The Romulans are the third of the great powers in the Alpha quadrant, and also one of the most interesting. 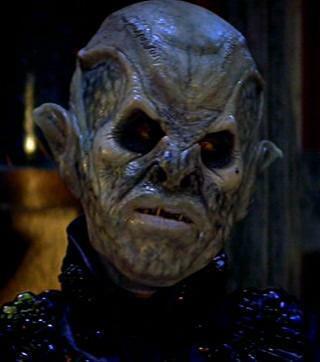 The Romulans are descendants of Vulcans who fled their home world when most accepted logic and the teachings of Surak. The Vulcans who would become Romulan gave in to their emotions, doing nothing to hide them. This makes the Romulans one of the most dangerous races of the galaxy, as the atrocities the Vulcans committed while under the influence of their emotions are said to be even worse than any committed by humans on Earth. Despite sharing such an ancestry with the Vulcans, the Romulans have always widely despised their logical counterparts, though there is a minority who wish to embrace their Vulcan brothers and bring about a Unification of the two cultures. The Romulans are one of only two races in the Empire. The other race, known as the Remans, are descended from the same Vulcans who left Vulcan. They colonised Romulus’ neighbouring planet; Remus. 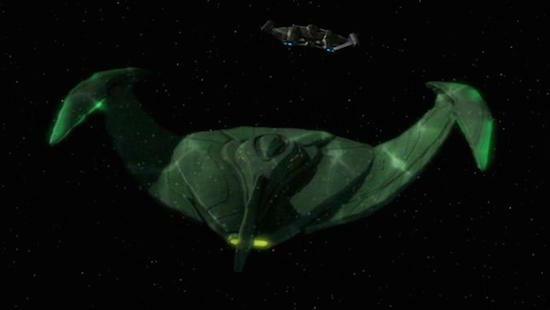 The Remans evolved very differently to the Romulans due to the unique conditions of the planet. One half of Remus always faces the sun and is completely inhospitable, so the Remans were forced to live on the Dark Side of the planet. The Remans are treated as labourers by the Romulans and were even used as cannon fodder during the Dominion War. The Remans are very like Klingons in their strength and skills in battle, but still possess the cunning of the Romulans. The Empire is very secretive and always planning something. Though ruled by a government of elected officials, there is often a lot of bribery and corruption involved, to the extent that a completely new government is voted in nearly every election. This led to a lot of plans being picked up and discarded mid-way through, such as a plan to replace Jean-Luc Picard(Patrick Stewart) with a Romulan created clone, Shinzon(Tom Hardy). The Humans waged a war with the Romulans even before the creation of the Federation, with nuclear weapons and no ship-to-ship communication, so neither had even seen the other before. It wasn’t until 2266, in an altercation between a Romulan ship and the USS Enterprise, that a Romulan was first seen by the Federation and their Vulcan ancestry confirmed. The Empire’s military doesn’t have a fancy name, but it is probably the most formidable, thanks in no small part, to one technological breakthrough: The Romulans were the species who first created cloaking technology in the Alpha quadrant. The Romulans have mastered the technology and their cloaking devices are a good deal more advanced than those of the Klingons. Despite its obvious tactical advantage, and in an effort to ease tension between the two powers, the Federation and Romulan Empire signed the Treaty of Algeron in 2311, forbidding the Federation from researching cloaking technology. 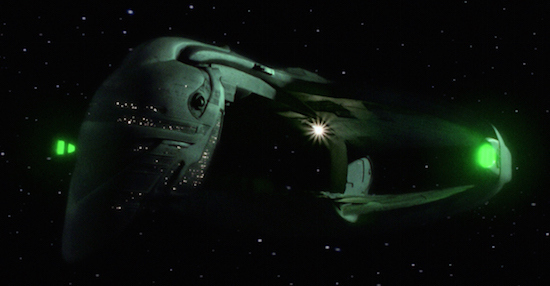 The technology often caused tension between the Romulans and other factions, but with the threat, and eventual outbreak, of the Dominion war, the Romulans worked with the Federation to equip the USS Defiant with the first official Federation cloaking device. The Empire’s warships all follow a similar design patterns: they all bear a resemblance to birds. The Vulcans who left and eventually colonised the planets Romulus and Remus were often referred to as “Raptors”, and the Romulans have embraced this moniker. From the humble, but powerful, T’varo class Bird of Prey to the imposing and menacing D’Deridex Romulan Warbird, Romulan ships are always to be feared. All their ships are also equipped with advanced cloaking devices, and a few have even proven capable of firing while cloaked. Though they eventually sided with the Federation and Klingons in the Dominion War, they maintain their distrust of other races and the alliance is quickly forgotten once the war is over. In 2379, Shinzon, one of the Romulan Military’s most prominent generals and a Reman, led a coup against the Romulan senate, ordering their assassination and taking control of the Empire. His ship, named “The Scimitar”, was the single most powerful ship created by any race of the known Star Trek Universe, save for maybe a Borg Tactical Cube. It could fire while cloaked, was highly manoeuvrable, boasted primary and secondary shields and contained a weapon capable of destroying life on entire planets. His plan was foiled by Captain Jean-Luc Picard of the Enterprise and Senator Tal’Aura, a Romulan senator. 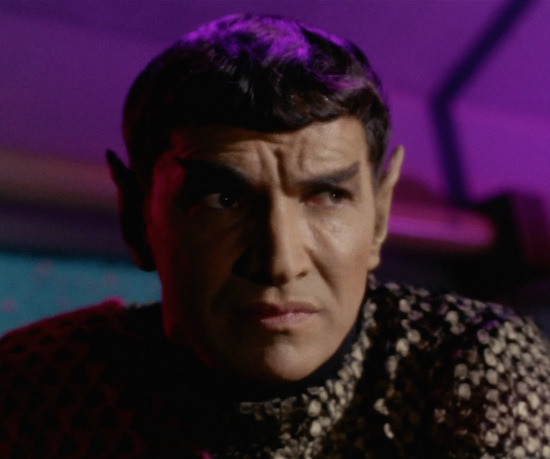 The Romulans are certainly one of the most interesting, and widely developed, races in Star Trek. They are creatures of duty, and have the utmost respect for those who they feel have earned it. I leave you with this powerful moment, the first words shared between the Federation and Romulans. Original Article published by Geek Ireland.